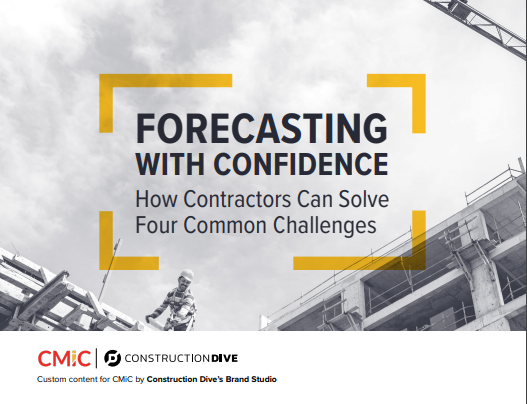 Contractors understand that being able to predict and prepare for variances in costs or schedules is critical to the profitability, cash flow and—in some scenarios—the viability of projects. Yet, reliable forecasting is a complex, multidimensional process that is challenging, if not impossible, with manual approaches or archaic systems. Learn new strategies that enable contractors to optimize productivity, minimize risk and drive growth. How comprehensive, single database ERP platforms address all four key challenges. Two "case studies" - involving companies that recently improved their operations with better data and optimized forecasting.